The latest financial report submitted by Broward County Commissioner Stacy Ritter is full of goodies. The District 3 incumbent raised $28,865 and spent a whopping $18,031. 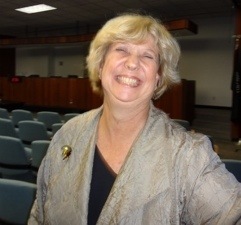 Über-lobbyist and salami sandwich doyenne Judy Stern gave Ms. Ritter $400 on March 19, 2012. Seven days earlier, Ritter got $500 from ALL STAR TOILET, a construction firm from West Palm Beach. (INSERT TOILET BASED JOKE HERE). Tamarac Vice Mayor Diane Glasser forked over $100. Ritter reported $1,594.71 of in-kind contributions. Ritter’s husband, Russ Klenet gave $500 in-kind contribution on March 25, 2012. That same day, Russ Klenet and Associates gave a $500 in-kind contribution.